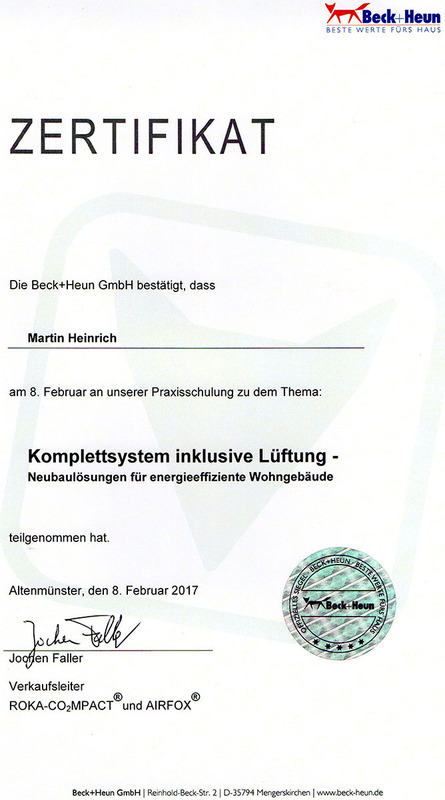 On February 08, 2017, I successfully participated in the practical training "Complete system including ventilation". From now on, we can install new solutions for energy-efficient residential buildings. For the customer, that means that an electrician does not have to be hired here additionally. 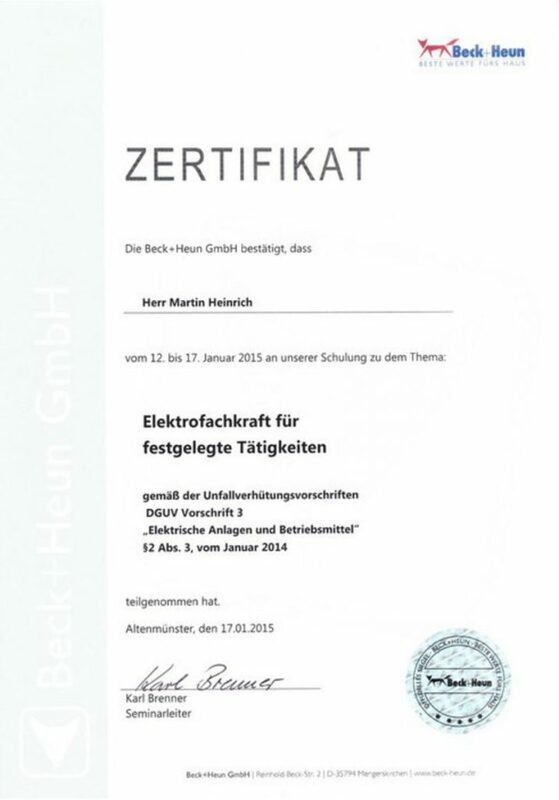 On January 17, 2015, I successfully passed the examination as "Electrician for specified activities". From now on, we can immediately connect the connection work to the electric roller shutters, blinds, shading systems, control systems, garage door operators, etc.